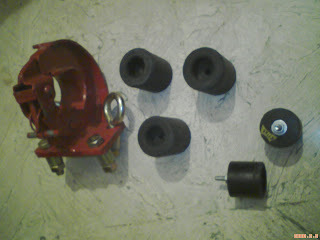 Today I got another important stuff which helps me to find the right spares. Yes. 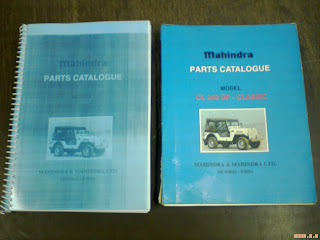 It is the Mahindra's original Parts Catalogue. I'm lucky enough to get to see the original book from one of the spare distributor, you know what he accepted my request for photocopying the book. Life is little easy now, I found the exact list of spares in it. Above picture shows the original parts catalogue and the photocopy. 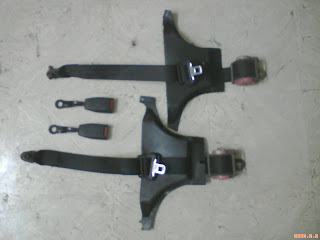 My name is Vijay and I am deperately searching for a part.The auto part dealers have asked for the part number but I havent been able to source a catalog.Could you help me by telling me the part number I am looking for. Hi. My name in Tinton Abraham. I have a 1999 model classic.Can you please give me a copy of this catalogue of Mahindra classic as i need some parts to be ordered from mumabi.? My no is 8281380764.plz revert. I could credit the amount to your account.